Forex news is a steady, regularly updated online feed of fresh information from the leading media agencies of the world. Hot news provided below will keep you on top of the events in the world of economy, finance, policy, and forex market that have a direct impact on currency exchange rates. Records sales of previously owned homes in the United States . This report provides a fairly accurate assessment of housing market conditions, and because of the sensitivity of the housing market to business cycle twists, it can be an important indicator of overall conditions at times when housing is particularly important to the economy. While used home sales are not counted in GDP, they do affect the United States economy. Sellers of used homes often use capital gains from property sales on consumption that stimulate the economy. Higher levels of consumer spending may also increase inflationary pressures, even as they help grow the economy. The existing home sales report is not as timely as other housing indicators like New Home Sales or Building Permits. By the time the Existing Home Sales are recorded, market conditions may have changed. The headline is the total value of properties sold. In 2015 the Economic Bulletin replaced the Monthly Bulletin. The Economic Bulletin is published two weeks after the monetary policy meeting of the Governing Council of the ECB. 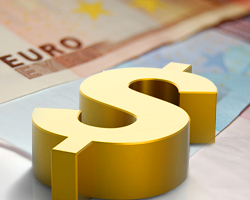 Issues published after the monetary policy meetings in March, June, September and December provide a comprehensive analysis of economic and monetary developments, including a discussion of the Eurosystem/ECB staff macroeconomic projections for the euro area. Other issues are shorter and provide an interim update on developments in key monthly indicators. Press conference of the BoJ. The percentage of individuals in the labor force who are without a job but actively seeking one. A higher Unemployment Rate is generally a drain on the economy. Not only does it mean that resources are not being fully utilized, but it also results in lower consumer spending as there are fewer workers receiving paychecks. This review reflects businessmen sentiment concerning the position of the industrial sector of the economy. The value of orders placed for relatively long-lasting goods. Durable Goods are expected to last more than three years. Such products often require large investments and usually reflect optimism on the part of the buyer that their expenditure will be worthwhile. Because orders for goods have large sway over the actual production, this figure serves as an excellent forecast of US output to come. Durable Goods are typically sensitive to economic changes. When consumers become sceptical about economic conditions, sales of durable goods are one of the first to be impacted since consumers can delay purchases of durable items, like cars and televisions, only spending money on necessities in times of economic hardship. Conversely, when consumer confidence is restored, orders for durable goods rebound quickly. A country's trade balance reflects the difference between exports and imports of goods and services. The trade balance is one of the biggest components of the Balance of Payment, giving valuable insight into pressures on country's currency. A positive Trade Balance (surplus) indicates that exports are greater than imports. When imports exceed exports, the country experiences a trade deficit. Because foreign goods are usually purchased using foreign currency, trade deficits usually reflect currency leaking out of the country. Such currency outflows may lead to a natural depreciation unless countered by comparable capital inflows (inflows in the form of investments, FDI - where foreigners investing in local equity, bond or real estates markets). At a bare minimum, deficits fundamentally weigh down the value of the currency. There are a number of factors that work to diminish the market impact of Trade Balance upon immediate release. The report is not very timely, coming some time after the reporting period. Developments in many of the figure's components are also typically anticipated well beforehand. Lastly, since the report reflects data for a specific reporting month or quarter, any significant changes in the Trade Balance should plausibly have already been felt during that period - and not during the release of data. However, because of the overall significance of Trade Balance data in forecasting trends in the Forex Market, the release has historically been one of the most important reports out of the any country. An indicator of inflation experienced by consumers living in Tokyo, excluding such volatile item as fresh food. Note: The unemployment rate generally moves slowly, so changes of only a few tenths of a percent are still considered significant. Also note that the unemployment rate does not account for discouraged workers. Therefore, in an economically depressed environment, such as that which occurred in Cold War era East Germany, the Unemployment Rate may not accurately reflect the extent of problems. This index measures changes in the prices of imports into a country per month. Measures changes in the selling prices producers charge for goods and services and tracks how prices feed through the production process. Because producers tend to pass on higher costs to consumers as higher retail prices, the PPI is valuable as an early indicator of inflation. Simply put, inflation reflects a decline in the purchasing power of the Dollar, where each dollar buys fewer goods and services. The report also gives insight into how higher prices from raw materials flow toward the final product. A rise in PPI signals an increase in inflationary pressures. Given the economic instability associated with rising price levels, the Fed often will raise interest rates to check inflation. A low or falling PPI is indicative of declining prices, and may suggest an economic slowdown. The headline figure is expressed in percentage change of producer price. Notes: The PPI records prices at various stages of production: raw goods, intermediate goods and finished goods. Though intermediate and crude goods prices do provide insight for future inflationary pressure, it is the price of finished goods that generates most interest for market participants. The finished goods data is able to gauge price pressure before the goods reach the retail market.